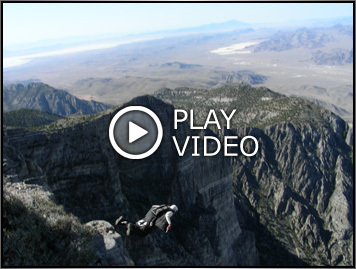 Above: Clip from Desert Solitude, which premiered at the Go Fast Games Video Festival at the Royal Gorge, Colorado in September 2007. 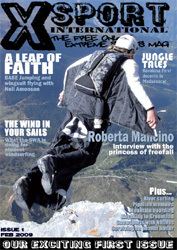 Right: Cover of XSport International Magazine featuring an incredible photo of Neil and his wingsuit in action. Sponsor logos are the property of their respective owners and are used with permission.